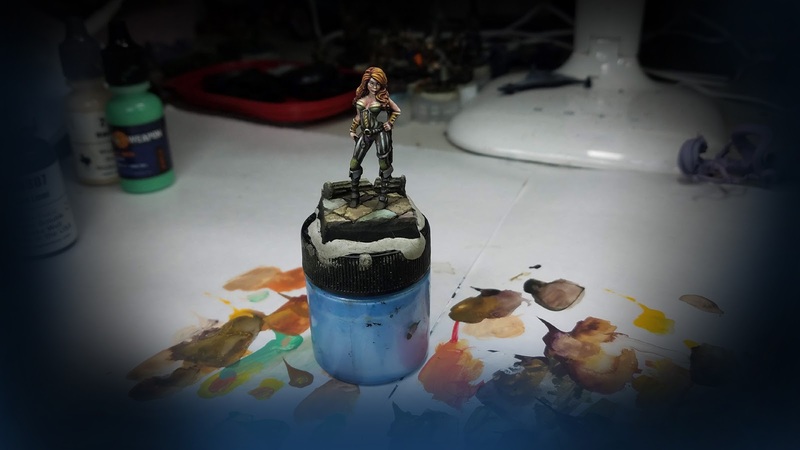 This was the first month of the new Pledge Levels on my patreon page, and there was little doubt that I would have to include painting videos on Dark Sword miniatures! They are perfect for these instructional videos due to the fine sculpting and casting. Working on this figure was a joy, as always, and it was the subject of the first instructional video. It's already been posted to the backers who pledged at the level. If the Page can reach the $1000 goal, I will add a second Dark Sword tutorial for that month. There is a nice stockpile of prepped Dark Sword figures here, so I am ready and waiting for that to happen. The faces in particular, as well as the hair and hands are so much easier to work on at this level of zoom for the camera. 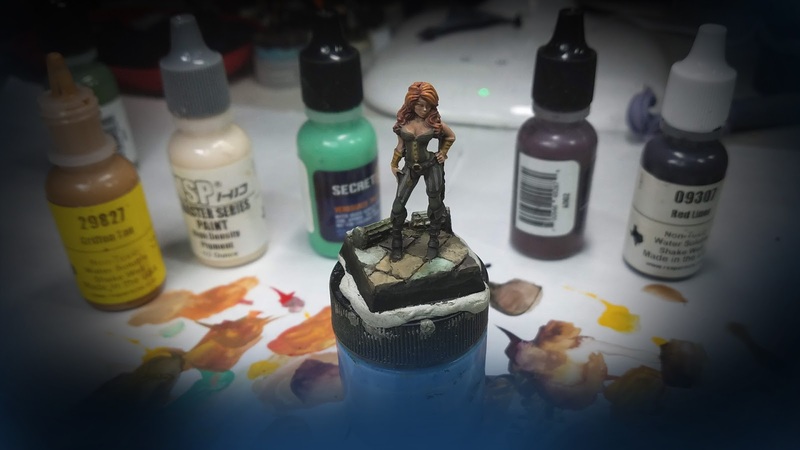 Most miniatures begin to look a little clunky when you get this close, but I was grateful to see how the tiny face on this figure could be so large on screen! Each video begins with a discussion on the brushes, palette, and paints. 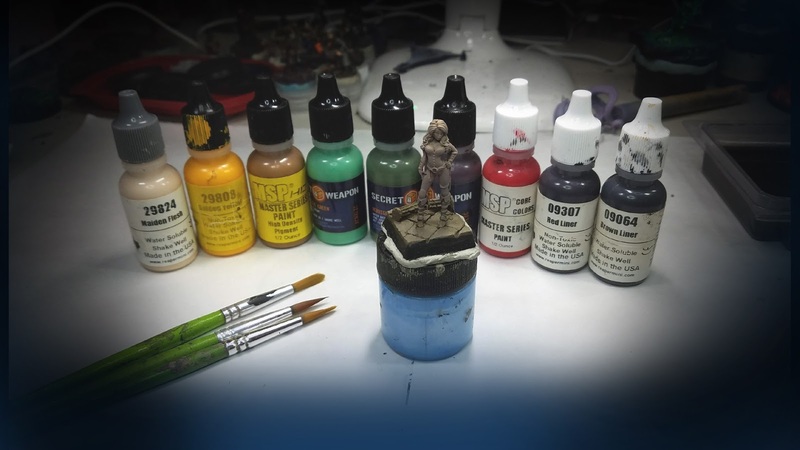 Just like the original Painting Pyramid videos, I take you through the Shaded Basecoat stage, Glazing, Midtones, Final highlights, Details and so on. 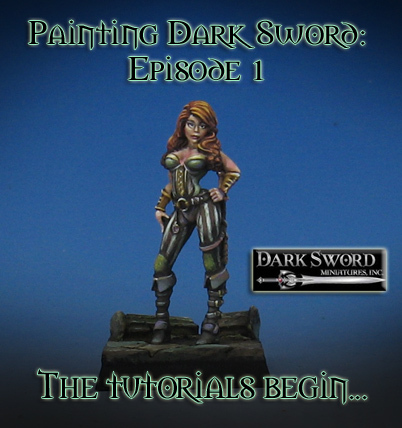 The new Dark Sword tutorial painting episodes are not the only instructional videos on the Patreon Page. I have the Army Painting series, large creatures and Black Heart models busts as well! Additional levels will be added in August and September.